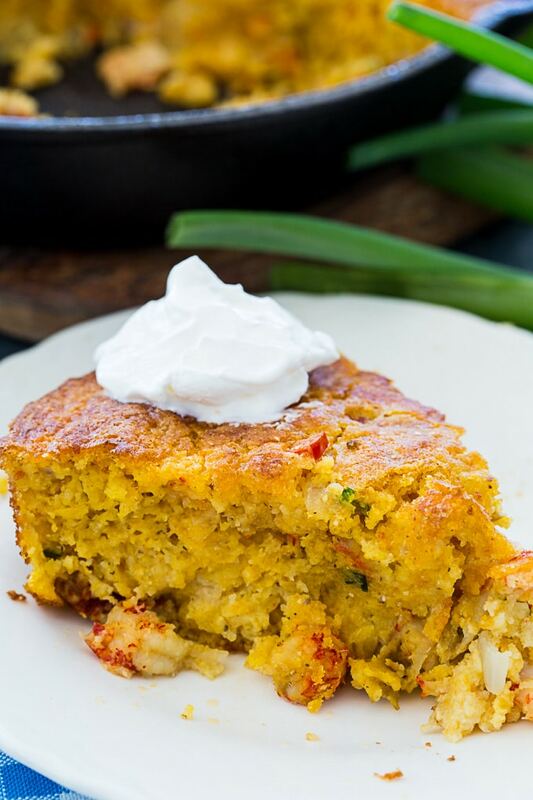 Crawfish Cornbread is loaded with crawfish and has a wonderfully crispy crust. The inside is fabulously moist and savory. Hearty enough to be eaten by itself as a meal, even better with Red Beans and Rice. 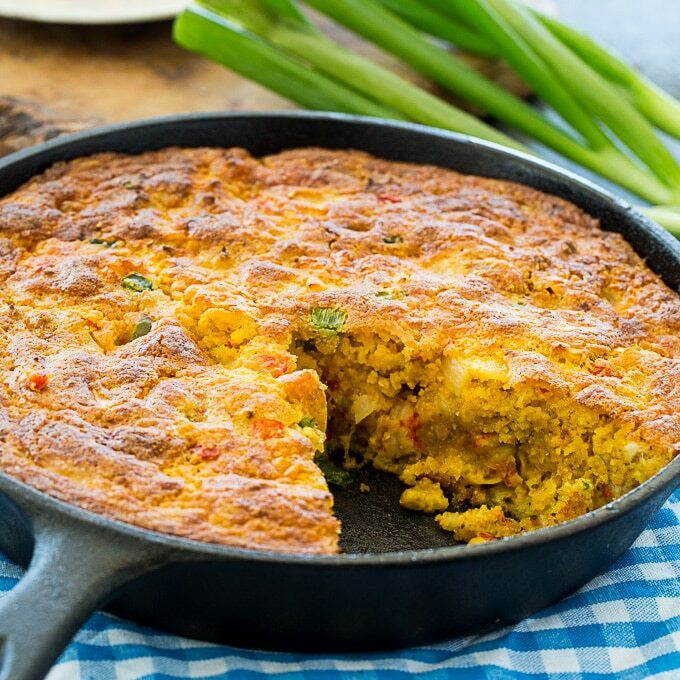 Because there’s a full pound of crawfish tails, lots of cheese, onion, peppers and creamed corn added to this cornbread, it’s almost more like a cornbread quiche. I love to serve it with a little sour cream. Leftovers reheat well if you do it in the toaster oven so it gets crispy again. 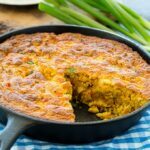 This recipe uses a pound of cooked and peeled crawfish tails which are much more widely distributed than they used to be. They can be found in the frozen section of many grocery stores with the frozen seafood. If you can’t find any, you can substitute shrimp or crab. 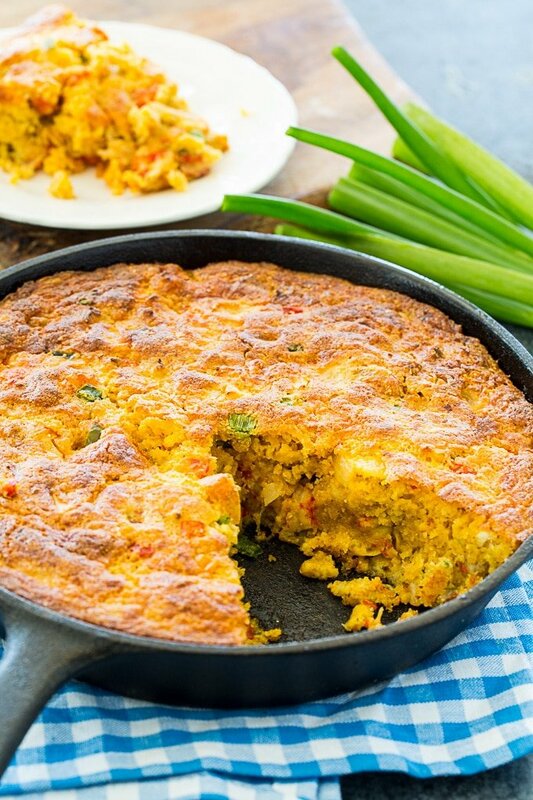 For best results, use a 10-inch cast iron skillet. If you don’t have one, a 9×13-inch pan can be used instead. It will still be really good, just not quite as crispy on the outside. If your crawfish comes in a 12-ounce package instead of a 16-ounce package, that is fine. Twelve ounces will be enough. To thaw the crawfish, I put them in the refrigerator 24 hours before I want to use them. Drain off as much liquid as you can before using them. Place the butter in a large nonstick pan and heat over medium-high heat. When melted, add onion and bell pepper. Cook 3 minutes and then add green onion and jalapeno. Cook another few minutes or until onions and peppers are soft. Drain any liquid from crawfish and add to pan along with creole seasoning. Remove from heat and set aside. In a large bowl, whisk together cornmeal, baking powder, salt, and baking soda. Add cheddar cheese, canned corn, milk, oil, and eggs. Add onion/crawfish mixture. Stir to mix well. Transfer mixture to a greased 10-inch cast iron skillet. Bake for 35 to 45 minutes, or until golden on top and set in the middle. 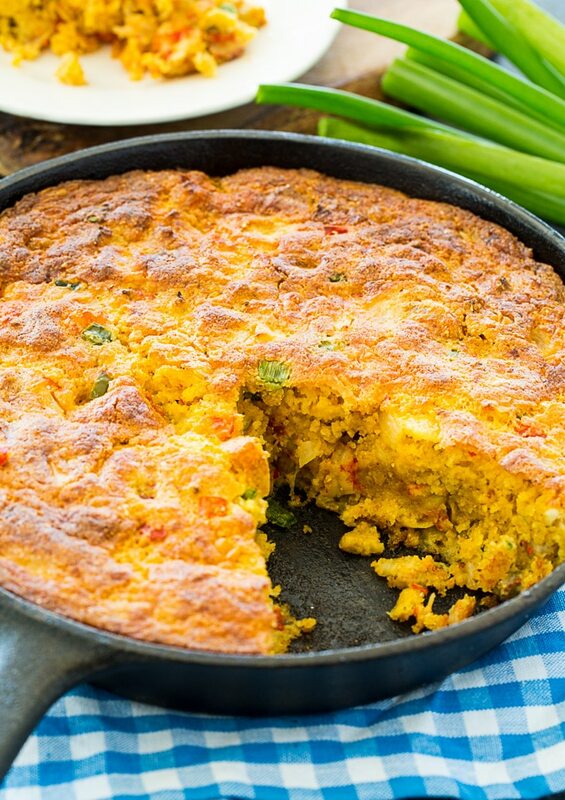 If you don't have a 10-inch cast iron pan, you can use a 9x13-inch baking pan. This entry was posted in Breads and Muffins and tagged Cornbread, crawfish. Bookmark the permalink. Strawberry Salad is a knock your socks off recipe, thanks.